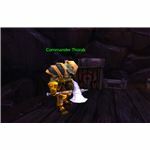 World of Warcraft: Cataclysm Quest Guide: "Call of Duty" and "Warchief's Command: Vashj'ir"
Your first foray into the brave new world of World of Warcraft: Cataclysm may very well be an ill-fated trip to the newly-emerged island just off the Eastern Kingdoms. Board the mercenary ship for a very interesting journey to an unexpected destination: Vashj'ir. When it comes to the first zone you’ll visit in the World of Warcraft: Cataclysm expansion, getting there truly is half the fun. Your first series of missions will lead you to Vashj’ir, but the journey will be an interesting one. 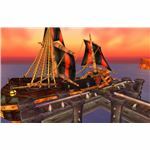 Hop aboard a mercenary ship that supposed to ferry you to the new island that’s appeared just off the coast of Stormwind and end up visiting the underwater kingdom that is one of World of Warcraft: Cataclysm’s new zones. Our guide to the “Warchief’s Command: Vashj’ir" and “Call of Duty" missions will show you the way. One of the first quests Horde members will receive after installing Cataclysm is the “Warchief’s Command: Vashj’ir" quest. After you pick up this mission from the bulletin board in Orgrimmar, you’ll be off to the nearby docks (a new addition to the city). At the docks, you’ll need to speak to Commander Thorak inside the large tower near the shore. After you turn in the quest, he’ll give you another: “Call of Duty." The premise of this mission is simple: a new landmass has emerged in off the coast of the Eastern Kingdoms, and the Horde is engaged in battle to capture it as a staging area for an invasion of Alliance territory. You have been ordered to join the battle. 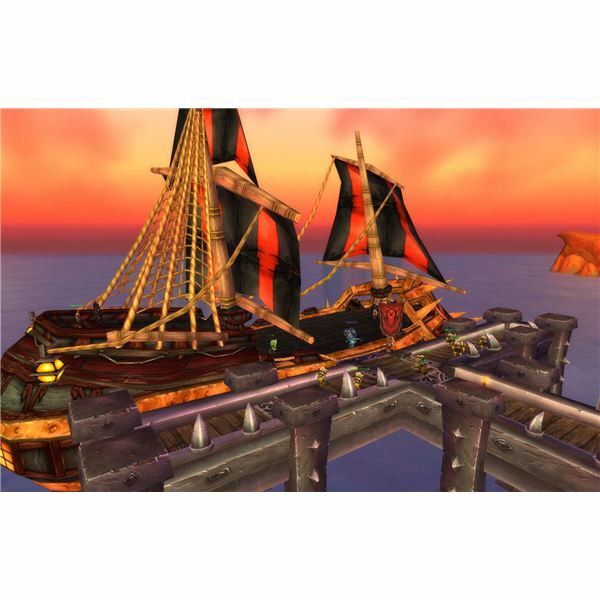 All Horde ships are currently occupied, however, so you’ll be riding on a mercenary vessel commissioned by the Warchief himself. The ship departs from the end of the nearby dock. As you wait for it to arrive, you’ll get one of your first opportunities to witness some of the new, fully-voiced NPC chatter. Two members of Hellscream’s Vanguard discuss the ship and the war nearby, then call out the ship when it approaches. Stepping on board, you’ll notice the crew is a very diverse lot. Male and female crewmembers of all species work on board. A short scene plays out, wherein an annoying crewmember suddenly disembarks, with the help of one of the Orcs. After the loading screen, Nazgrim delivers a rousing speech about the impending Horde victory. No sooner has he finished than a wrecked Horde ship appears off the starboard bow. The survivors stand atop an overturned hull. 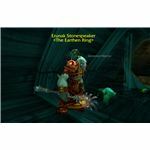 Nazgrim is annoyed, but soon becomes angry when the cause of the wreck appears. Several tentacles attack your ship and toss you overboard. You are on the verge of drowning when a friendly Draenei appears and saves your life. 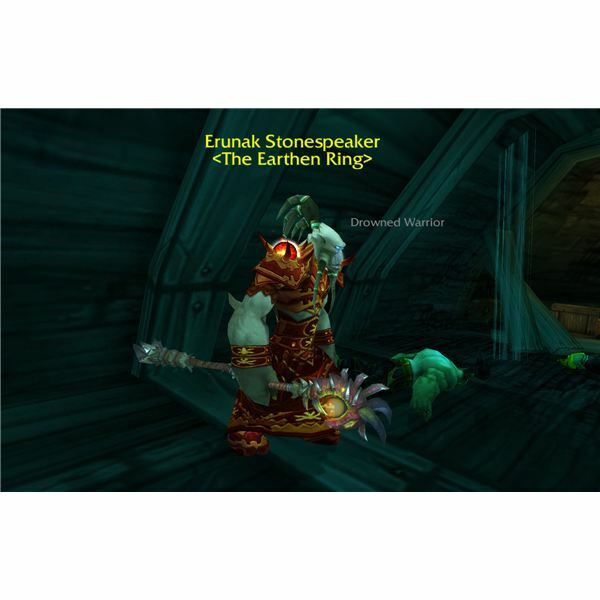 That helpful Draenei is Erunak Stonespeaker of the Earthen Ring. When you speak to him, he remarks that you have indeed found a battle, though perhaps not the one you were looking for. Speak to him to finish the “Call of Duty" quest. You may have noticed you weren’t the only Horde member drowning out there. Welcome to Vashj’ir, you’ve got some work to do. But first, you'll have to get your "Sea Legs."